Dress man in four pieces composed of tunic , patience , cape and stole. 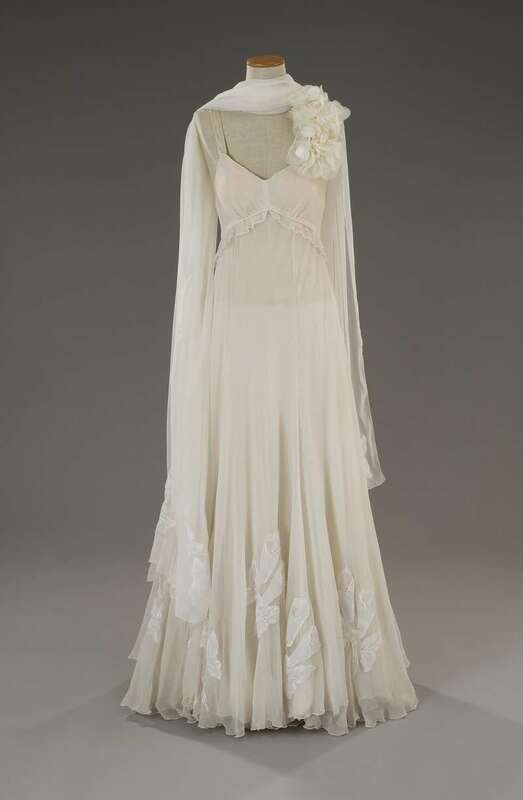 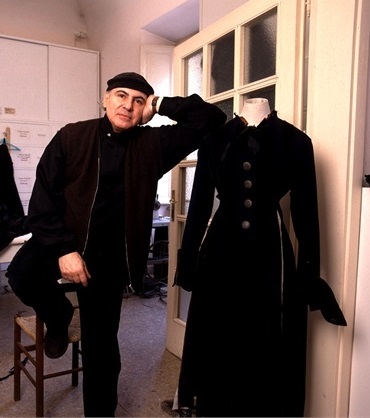 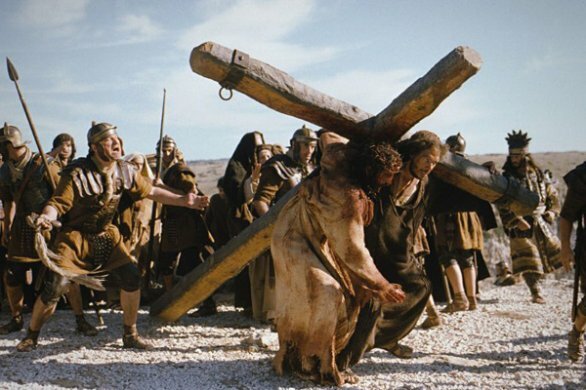 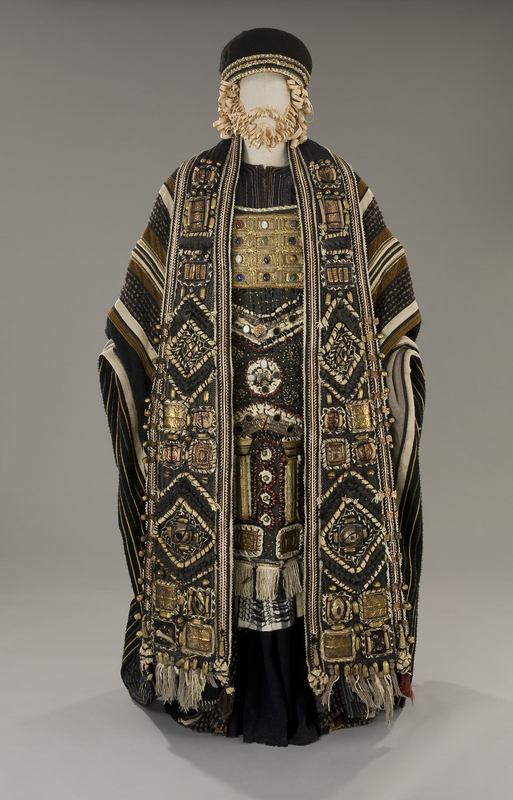 The robe is black and brown wool. 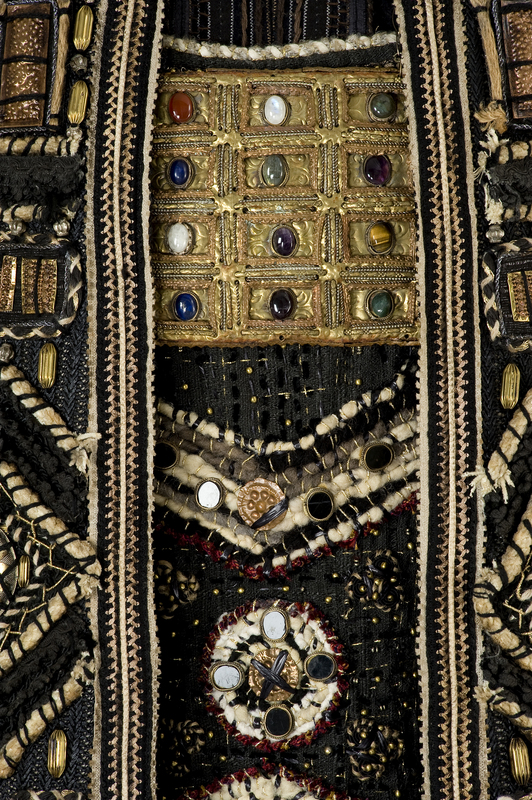 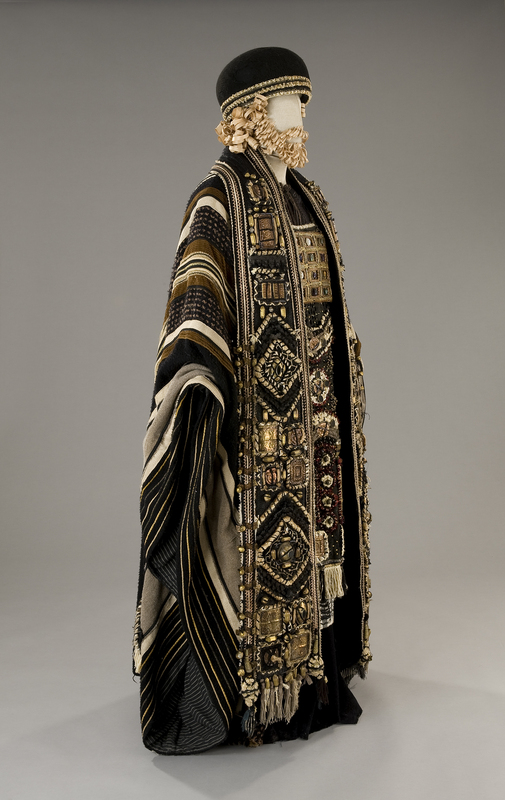 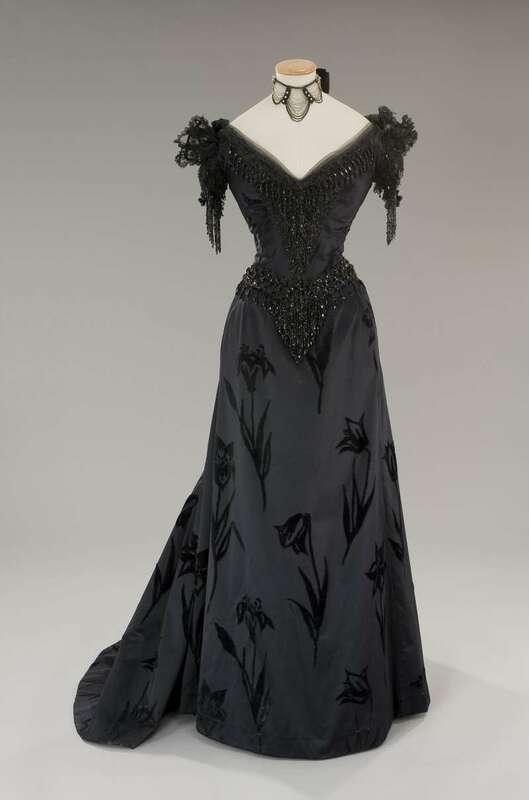 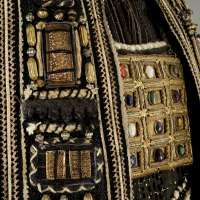 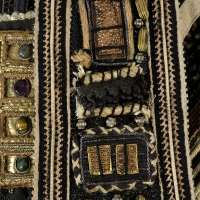 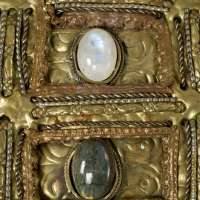 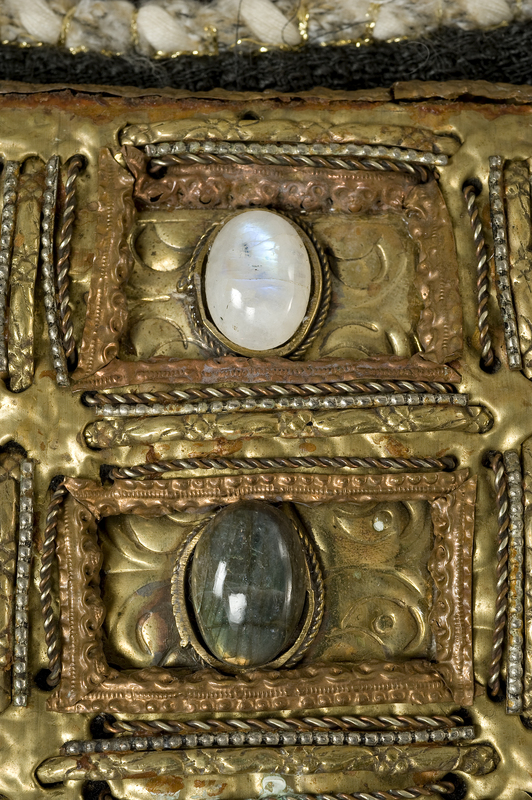 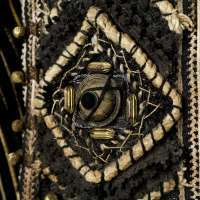 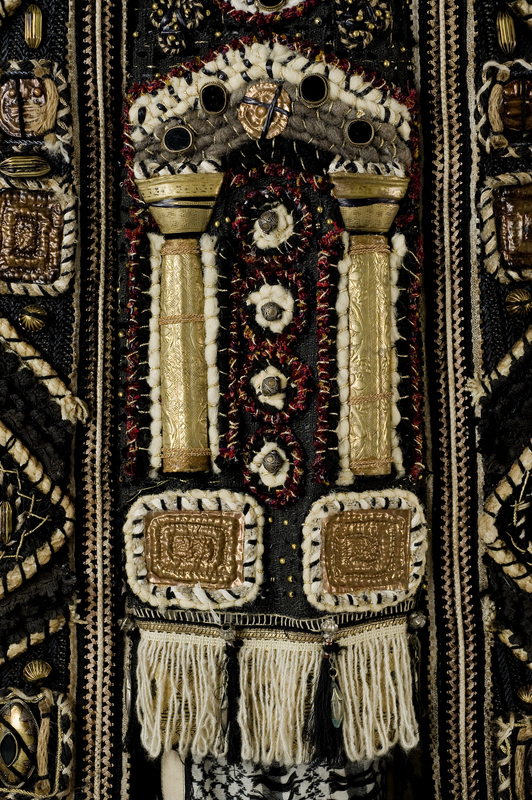 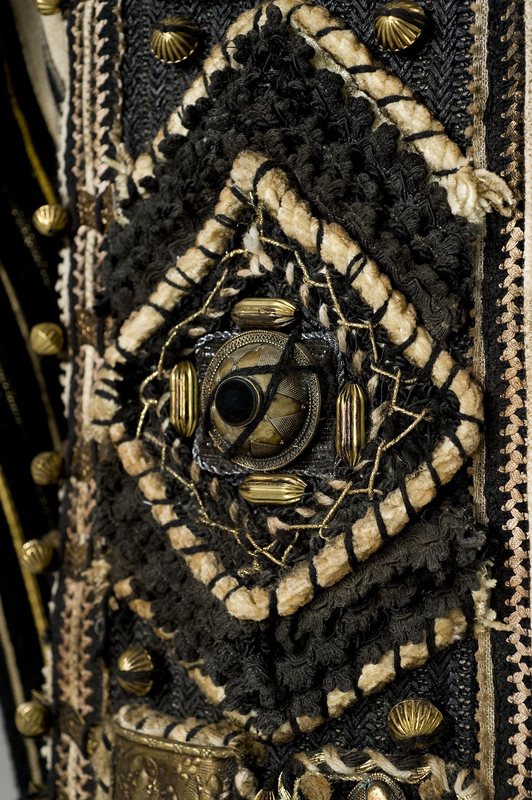 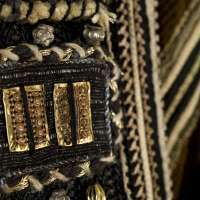 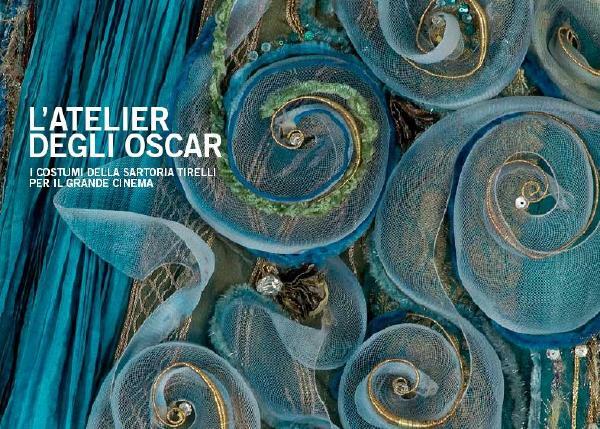 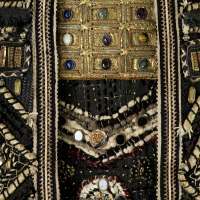 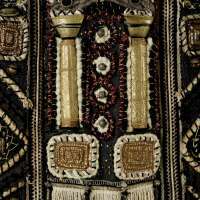 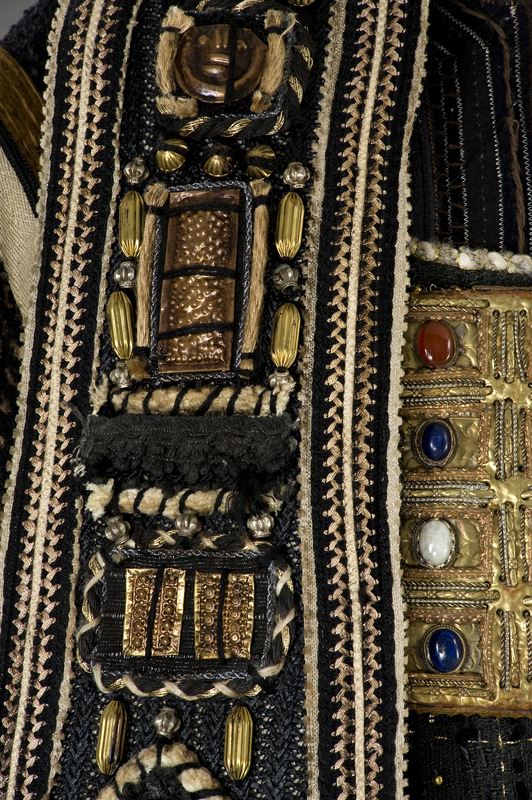 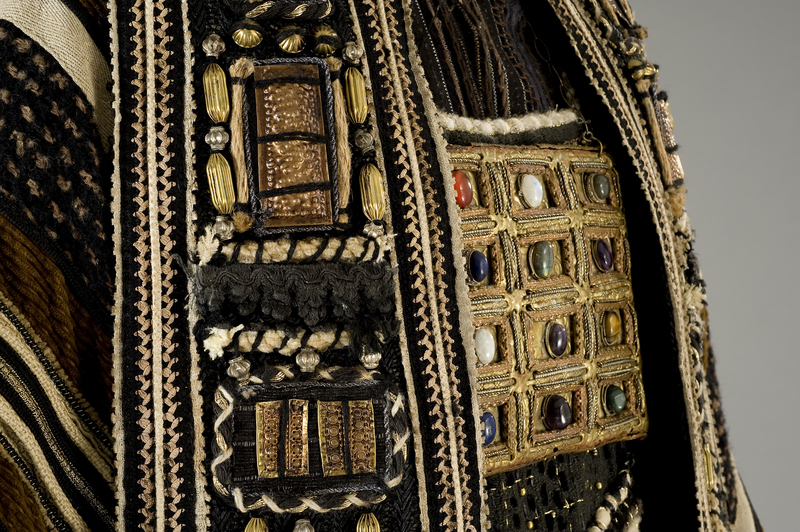 Patience, as the stole, is entirely embroidered patterned with various materials : beads , chenille , gold threads , stones , bats and metal plates , assembled on wool and velvet . 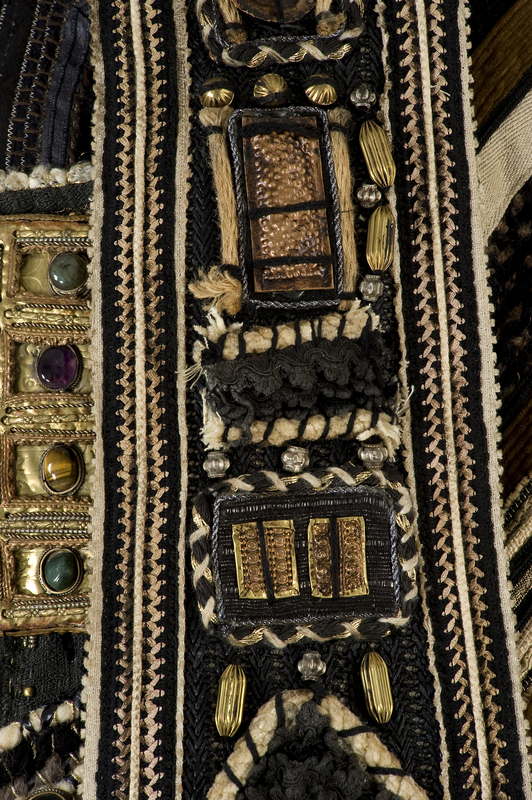 The embroidery of patience is the front of the Temple of Jerusalem with the large metal plate whose twelve stones set refer to the twelve tribes of Israel . 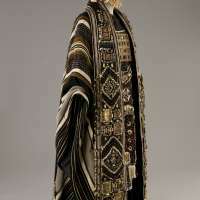 Cloak worked with various inserts and wool velvets always in shades of brown , ocher and black . 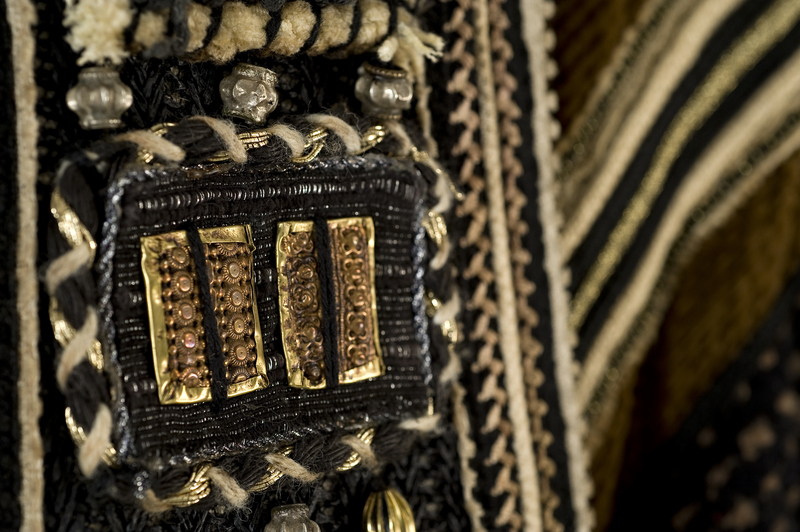 Headgear in black felt . 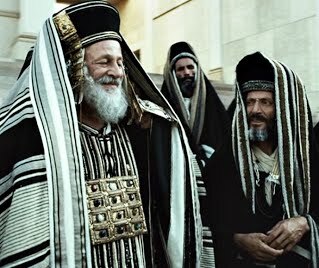 Time of setting : 33 A.D. 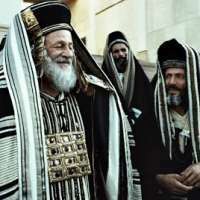 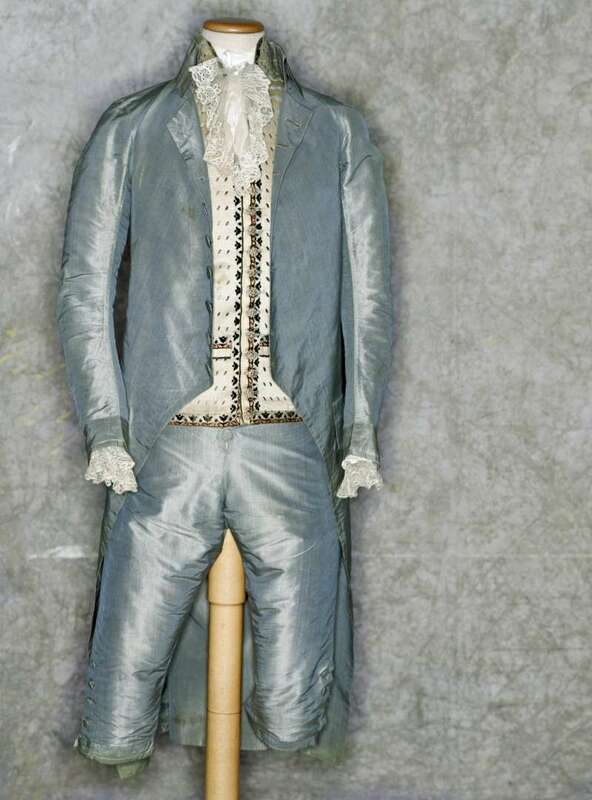 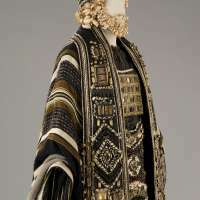 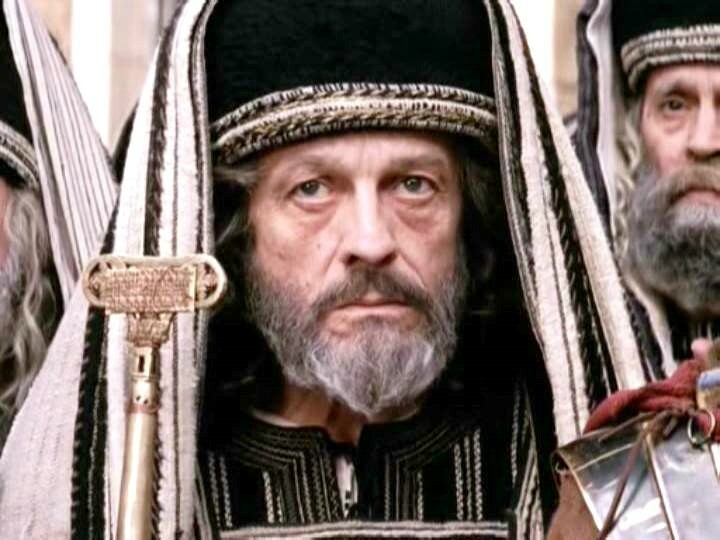 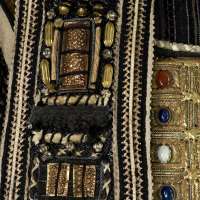 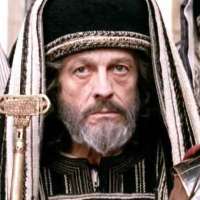 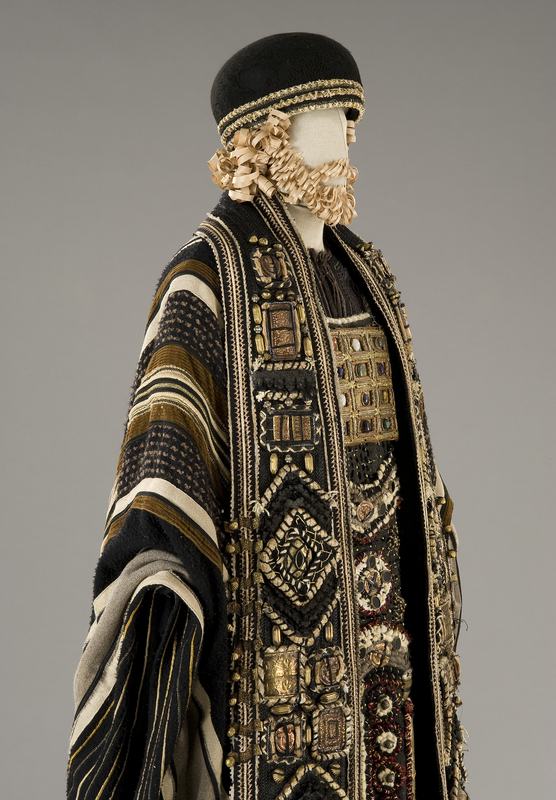 The costume worn by Mattia Sbragia in the role of Caiaphas .